This is “Personal Finances”, chapter 14 from the book An Introduction to Business (v. 1.0). For details on it (including licensing), click here. Carefully managing your personal finances makes it possible for you to buy a new car, go on a vacation, or afford your dream home. Do you wonder where your money goes? Do you have trouble controlling your spending? Have you run up the balances on your credit cards or gotten behind in your payments and hurt your credit rating? Do you worry about how you’ll pay off your student loans? 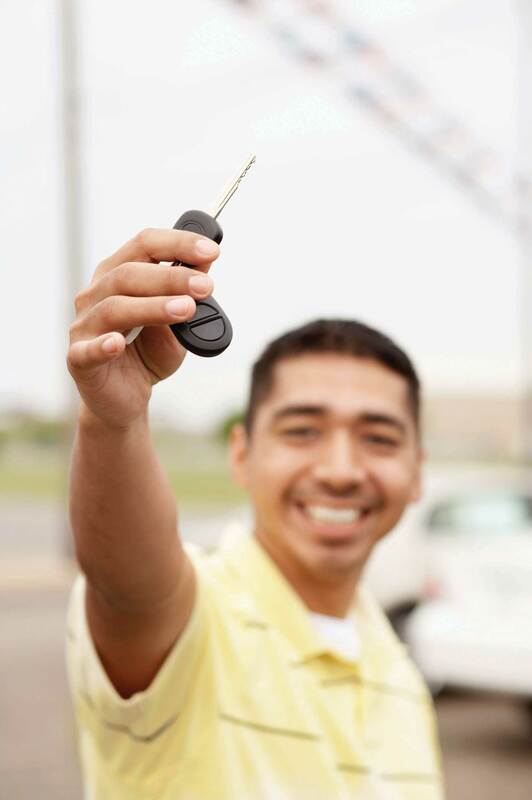 Would you like to buy a new car or even a home someday and you’re not sure where the money will come from? If you do have extra money, do you know how to invest it? Do you know how to find the right job for you, land an offer, and evaluate the company’s benefits? If these questions seem familiar to you, you could benefit from help in managing your personal finances. This chapter will provide that help. Offer advice to someone who is burdened with debt. Offer advice to someone whose monthly bills are too high. Let’s say that you’re single and twenty-eight. You have a good education and a good job—you’re pulling down $60K working with a local accounting firm. You have $6,000 in a retirement savings account, and you carry three credit cards. You plan to buy a house (maybe a condo) in two or three years, and you want to take your dream trip to the world’s hottest surfing spots within five years (or, at the most, ten). Your only big worry is the fact that you’re $70,000 in debt, mostly from student loans, your car loan, and credit card debt. In fact, even though you’ve been gainfully employed for a total of six years now, you haven’t been able to make a dent in that $70,000. You can afford the necessities of life and then some, but you’ve occasionally wondered if you’re ever going to have enough income to put something toward that debt.This vignette is adapted from a series entitled USA TODAY’s Financial Diet, which ran in USA Today in 2005 (accessed September 13, 2008). Go to http://www.usatoday.com/money/perfi/basics/2005-04-14-financial-diet-excercise1_x.htm and use the embedded links to follow the entire series. If I didn’t have a credit card in my pocket, I’d probably buy a lot less stuff. My credit card balance usually goes up at the holidays. If I really want something that I can’t afford, I put it on my credit card or sign up for a payment plan. I can barely afford my apartment. Whenever something goes wrong (car repairs, doctors’ bills), I have to use my credit card. I almost never spend money on stuff I don’t need, but I always seem to owe a balance on my credit card bill. At the bottom of the page, you’re asked whether you agreed with any of the statements in Part 1 and any of the statements in Part 2. It turns out that you answered yes in both cases and are thereby informed that you’re probably jeopardizing your entire financial future. Unfortunately, personal-finances experts tend to support the author of the quiz: if you agreed with any statement in Part 1, you have a problem with splurging; if you agreed with any statement in Part 2, your monthly bills are too high for your income. So, you have a financial problem: according to the quick test you took, you’re a splurger and your bills are too high for your income. How does this put you at risk? If you get in over your head and can’t make your loan or rent payments on time, you risk hurting your credit—your ability to borrow in the future. Let’s talk about your credit. How do potential lenders decide whether you’re a good or bad credit risk? If you’re a poor credit risk, how does this affect your ability to borrow, or the rate of interest you have to pay, or both? Here’s the story. Whenever you use credit, those you borrow from (retailers, credit card companies, banks) provide information on your debt and payment habits to three national credit bureaus: Equifax, Experian, and TransUnion. The credit bureaus use the information to compile a numerical credit score, generally called a FICO score; it ranges from 300 to 900, with the majority of people falling in the 600–700 range. (Here’s a bit of trivia to bring up at a dull party: FICO stands for Fair Isaac Company—the company that developed the score.) In compiling the score, the credit bureaus consider five criteria: payment history—do you pay your bills on time? (the most important), total amount owed, length of your credit history, amount of new credit you have, and types of credit you use. The credit bureaus share their score and other information about your credit history with their subscribers. So what does this do for you? It depends. If you paid your bills on time, carried only a reasonable amount of debt, didn’t max out your credit cards, had a history of borrowing, hadn’t applied for a bunch of new loans, and borrowed from a mix of lenders, you’d be in good shape. Your FICO score would be high and lenders would like you. Because of your high credit score, they’d give you the loans you asked for at reasonable interest rates. But if your FICO score is low (perhaps you weren’t so good at paying your bills on time), lenders won’t like you and won’t lend you money (or would lend it to you at high interest rates). So it’s very, very, very (the last “very” is for emphasis) important that you do everything possible to earn a high credit score. If you don’t know your score, here is what you should do: go to http://www.annualcreditreport.com and request a free copy of your credit report. Your report won’t include your FICO score, but you can purchase your score for about $15. As a young person, though, how do you get a high score? Start using credit now, but borrow sensibly. Get a credit card and use it to make small purchases and then pay your bill off on time. What if you’ve already damaged your credit score—what can you do to raise it? Do what you should have done in the first place: pay your bills on time, pay more than the minimum balance due on your credit cards and charge cards, keep your card balances low, and pay your debts off as quickly as possible. Also, scan your credit report for any errors. If you find any, work with the credit bureau to get them corrected. Because your financial problem was brought on, in part, because you have too much debt, you should stop borrowing. But, what if your car keeps breaking down and you’re afraid of getting stuck on the road some night? So, you’re thinking of replacing it with a used car that costs $10,000. Before you make a final decision to incur the debt, you should understand its costs. The rate of interest matters a lot. Let’s compare three loans at varying interest rates: 6, 10, and 14 percent. We’ll look at the monthly payment, as well as the total interest paid over the life of the loan. If your borrowing interest rate is 14 percent, rather than 6 percent, you’ll end up paying an additional $1,842 in interest over the life of the loan. Your borrowing cost at 14 percent is more than twice as much as it is at 6 percent. The conclusion: search for the best interest rates and add the cost of interest to the cost of whatever you’re buying before deciding whether you want it and can afford it. If you have to borrow the money for the car at the 14 percent interest rate, then the true cost of the car isn’t $10,000, but rather $13,114. Finance charge. The interest rate charged to you often depends on your credit history; those with good credit get the best rates. Some cards offer low “introductory” rates—but watch out; these rates generally go up after six months. Annual fee. Many credit cards charge an annual fee: a yearly charge for using the card. You can avoid annual fees by shopping around (though there can be trade-offs: you might end up paying a higher interest rate to avoid an annual fee). Over-limit fee. This fee is charged whenever you exceed your credit line. Late payment fee. Pretty self-explanatory, but also annoying. Late payment fees are common for students; a study found students account for 6 percent of all overdraft fees.Harriet Johnson Brackey, “Students burdened by overdraft charges, group says,” YoungMoney, http://www.youngmoney.com/money_management/saving/184 (accessed August 24, 2008). One way to decrease the chance of paying late is to call the credit card company and ask them to set your payment due date for a time that works well for you. For example, if you get paid at the end of the month, ask for a payment date around the 10th of the month. Then you can pay your bill when you get paid and avoid a late fee. Cash advance fee. While it’s tempting to get cash from your credit card, it’s pretty expensive. You’ll end up paying a fee (around 3 percent of the advance), and the interest rate charged on the amount borrowed can be fairly high. An alternative to a credit card is a debit cardPulls money out of your checking account whenever you use the card to buy something or get cash from an ATM., which pulls money out of your checking account whenever you use the card to buy something or get cash from an ATM. These cards don’t create a loan when used. So, are they better than credit cards? It depends—each has its advantages and disadvantages. A big advantage of a credit card is that it helps you build credit. A disadvantage is that you can get in over your head in debt and possibly miss payments (thereby incurring a late payment fee). Debit cards help control spending. Theoretically, you can’t spend more than you have in your checking account. But be careful—if you don’t keep track of your checking account balance, it’s easy to overdraft your account when using your debit card. In the past, banks would just reject purchases or ATM withdrawals if a customer didn’t have enough money in his or her account to cover the transaction. Recently, though, some banks are accepting the transaction and then charging a checking account overdraft fee of about $25.Kathy Chu,” Debit card overdraft fees hit record highs,” USA Today, January 24, 2007, http://www.usatoday.com/money/perfi/credit/2007-01-24-debit-card-fees_x.htm (accessed August 30, 2008). This can be quite expensive, particularly if you used the card to purchase a hamburger and soda at a fast-food restaurant. Cut up your credit cards and start living on a cash-only basis. Do whatever you can to bring down your monthly bills. Living on a cash-only basis is the first step in getting debt under control. Step 1 in this abbreviated two-step personal-finances “plan” is probably the easier of the two, but taking even this step can be hard enough. In fact, a lot of people would find it painful to give up their credit cards, and there’s a perfectly logical reason for their reluctance: the degree of pain that one would suffer from destroying one’s credit cards probably stands in direct proportion to one’s reliance on them. As of this writing, total credit card debt in the United States is about $790 billion, out of $2.6 trillion in total consumer debt. Closer to home, one recent report puts average credit card debt per U.S. household at $9,840 (up 25 percent since 2000).Barry Wood, “US Credit Card Debt Rising as Other Sources Dry Up,” VOA News, February 26, 2008, http://www.voanews.com/english/archive/2008-02/2008-02-26-voa1.cfm?CFID=39187384&CFTOKEN=10951195 (accessed September 13, 2008); Joshua Lipton, “Choking On Credit Card Debt,” Forbes.com, September 12, 2008, http://www.forbes.com/finance/2008/09/12/credit-card-debt-pf-ii-in_jl_0911creditcards_inl.html (accessed September 13, 2008). Why are these numbers important? Primarily because, on average, too many consumers have debt that they simply can’t handle. “Credit card debt,” says one expert on the problem, “is clobbering millions of Americans like a wrecking ball,”U.S. Senator Ron Wyden, quoted in “Avoiding the Pitfalls of Credit Card Debt” (Center for American Progress Action Fund, 2008), http://www.americanprogressaction.org/issues/2008/avoiding_pitfalls.html (accessed September 13, 2008). and if you’re like most of us, you’d probably like to know whether your personal-finances habits are setting you up to become one of the clobbered. If, for example, you’re worried that your credit card debt may be overextended, the American Bankers Association suggests that you ask yourself a few questions:Joshua Lipton, “Choking On Credit Card Debt,” Forbes.com, September 12, 2008, http://www.forbes.com/finance/2008/09/12/credit-card-debt-pf-ii-in_jl_0911creditcards_inl.html (accessed September 13, 2008). Do I pay only the minimum month after month? Do I run out of cash all the time? Am I late on critical payments like my rent or my mortgage? Am I taking longer and longer to pay off my balance(s)? Do I borrow from one credit card to pay another? If such habits as these have helped you dig yourself into a hole that’s steadily getting deeper and steeper, experts recommend that you take three steps as quickly as possible:Joshua Lipton, “Choking On Credit Card Debt,” Forbes.com, September 12, 2008, http://www.forbes.com/finance/2008/09/12/credit-card-debt-pf-ii-in_jl_0911creditcards_inl.html (accessed September 13, 2008). Get to know the enemy. You may not want to know, but you should collect all your financial statements and figure out exactly how much credit card debt you’ve piled up. Don’t compound the problem with late fees. List each card, along with interest rates, monthly minimums, and due dates. Bear in mind that paying late fees is the same thing as tossing what money you have left out the window. 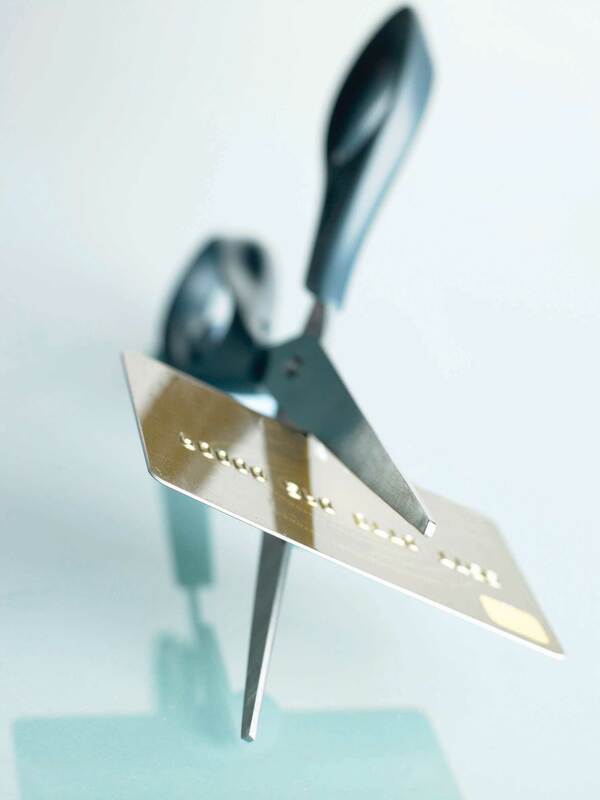 Now cut up your credit cards (or at least stop using them). Pay cash for everyday expenses, and remember: swiping a piece of plastic is one thing (a little too easy), while giving up your hard-earned cash is another (a little harder). And, if you find you’re unable to pay your debts, don’t hide from the problem, as it will not go away. Call your lenders and explain the situation. They should be willing to work with you in setting up a payment plan. If you need additional help, contact a nonprofit credit assistance group such as the National Foundation for Credit Counseling (http://www.nfcc.org). Now, it’s time to tackle step 2 of our recommended personal-finances miniplan: do whatever you can to bring down your monthly bills. As we said, many people may find this step easier than step 1—cutting up your credit cards and starting to live on a cash-only basis. If you want to take a gradual approach to step 2, one financial planner suggests that you perform the following “exercises” for one week:Financial planner Elissa Buie helped to develop USA TODAY’s Financial Diet. Keep a written record of everything you spend and total it at week’s end. Keep all your ATM receipts and count up the fees. Take $100 out of the bank and don’t spend a penny more. Among other things, you’ll probably be surprised at how much of your money can become somebody else’s money on a week-by-week basis. If, for example, you spend $3 every day for one cup of coffee at a coffee shop, you’re laying out nearly $1,100 a year. If you use your ATM card at a bank other than your own, you’ll probably be charged a fee that can be as high as $3. The average person pays more than $60 a year in ATM fees, and if you withdraw cash from an ATM twice a week, you could be racking up $300 in annual fees. As for your ATM receipts, they’ll tell you whether, on top of the fee that you’re charged by that other bank’s ATM, your own bank is also tacking on a surcharge.Sun Trust Banks, “Money Management” (2008), http://www.suntrusteducation.com/toolbox/moneymgt_spendless.asp (accessed September 16, 2008); “Reduce ATM Fees—Daily Financial Tip,” SavingAdvice.com, April 5, 2006, http://www.savingadvice.com/blog/2006/04/05/10533_reduce-atm-fees-daily-financial-tip.html (accessed September 16, 2008); Marshall Loeb, “Four Ways to Keep ATM Fees from Draining Your Bank Account,” MarketWatch (June 14, 2007), http://www.marketwatch.com/news/story/four-ways-keep-atm-fees/story.aspx?guid=%7BEFB2C425-B7F8-40C4-8720-D684A838DBDA%7D (accessed September 16, 2008); Kate Rosenberger, “How to Avoid ATM Fees,” Helium (2008), http://www.helium.com/items/1100945-how-to-avoid-atm-fees (accessed September 16, 2008). Put all your credit cards in a drawer and get by on cash. Buy nothing but groceries and gasoline. Use coupons whenever you go to the grocery store (but don’t buy anything just because you happen to have a coupon). The obvious question that you need to ask yourself at the end of week 2 is: “How much did I save?” An equally interesting question, however, is: “What can I do without?” One survey asked five thousand financial planners to name the two expenses that most consumers should find easiest to cut back on. Figure 14.3 "Reducible Expenses" shows the results. You may or may not be among the American consumers who buy thirty-five million cans of Bud Light each and every day, or 150,000 pounds of Starbucks coffee, or 2.4 million Burger King hamburgers, or 628 Toyota Camrys. Yours may not be one of the 70 percent of U.S. households with an unopened consumer-electronics product lying around.Michael Arrington, “eBay Survey Says Americans Buy Crap They Don’t Want,” TechCrunch, August 21, 2008, http://abcnews.go.com/GMA/Consumer/Story?id=3290458&page=1 (accessed September 14, 2008). And you may or may not be ready to make some major adjustments in your personal-spending habits, but if, at age twenty-eight, you have a good education and a good job, a $60,000 income, and a $70,000 debt—by no means an implausible scenario—there’s a very good reason why you should think hard about controlling your modest share of that $2.6 trillion in U.S. consumer debt: your level of indebtedness will be a key factor in your ability—or inability—to reach your longer-term financial goals, such as home ownership, a dream trip, and, perhaps most important, a reasonably comfortable retirement. The great English writer Samuel Johnson once warned: “Do not accustom yourself to consider debt only as an inconvenience; you will find it a calamity.” In Johnson’s day, you could be locked up for failing to pay your debts; there were even so-called “debtor’s prisons” for the purpose, and we may suppose that the prospect of doing time for owing money was one of the things that Johnson had in mind when he spoke of debt as a potential “calamity.” We don’t expect that you’ll ever go to prison on account of indebtedness, and we won’t suggest that, say, having to retire to a condo in the city instead of a tropical island is a “calamity.” We’ll simply say that you’re more likely to meet your lifetime financial goals—whatever they are—if you plan for them. What you need to know about planning for and reaching those goals is the subject of this chapter. Before buying something on credit, ask yourself whether you really need the goods or services, can afford them, and are willing to pay interest on the purchase. Whenever you use credit, those you borrow from provide information on your debt and payment habits to three national credit bureaus. The credit bureaus use the information to compile a numerical credit score, called a FICO score, which they share with subscribers. The credit bureaus consider five criteria in compiling the score: payment history, total amount owed, length of your credit history, amount of new credit you have, and types of credit you use. To raise your credit score, you should pay your bills on time, pay more than the minimum balance due, keep your card balances low, and pay your debts off as quickly as possible. Also, scan your credit report for any errors and get any errors fixed. If you can’t pay your debt, explain your situation to your lenders and see a credit assistance counselor. Before you incur a debt, you should understand its costs. The interest rate charged by the lender makes a big difference in the overall cost of the loan. The costs associated with credit cards include finance charges, annual fees, over-limit fees, late payment fees, and cash advance fees. If you have a problem with splurging, cut up your credit cards and start living on a cash-only basis. If your monthly bills are too high for your income, do whatever you can to bring down those bills. There are a number of costs associated with the use of a credit card, including finance charges, annual fee, over-limit fee, late payment fee, and cash advance fee. Identify these costs for a credit card you now hold. If you don’t presently have a credit card, go online and find an offer for one. Check out these costs for the card being offered. Define personal finances and financial planning. Explain the financial planning life cycle. Discuss the advantages of a college education in meeting short- and long-term financial goals. Describe the steps you’d take to get a job offer and evaluate alternative job offers, taking benefits into account. Understand the ways to finance a college education. Before we go any further, we need to nail down a couple of key concepts. First, just what, exactly, do we mean by personal finances? Finance itself concerns the flow of money from one place to another, and your personal finances concern your money and what you plan to do with it as it flows in and out of your possession. Essentially, then, personal financeThe application of financial principles to the monetary decisions of an individual or a family. is the application of financial principles to the monetary decisions that you make either for your individual benefit or for that of your family. Second, as we suggested in the previous section of this chapter—and as we’ll insist in the rest of it—monetary decisions work out much more beneficially when they’re planned rather than improvised. Thus our emphasis on financial planningThe process of managing your personal finances to meet goals that you’ve set for yourself or your family.—the ongoing process of managing your personal finances in order to meet goals that you’ve set for yourself or your family. How much debt do I have, and what are my monthly payments on that debt? What’s the value of my assets? How can I best budget my annual income? How much wealth can I expect to accumulate during my working lifetime? In stage 1, the focus is on building wealth. In stage 2, the focus shifts to the process of preserving and increasing the wealth that one has accumulated and continues to accumulate. In stage 3, the focus turns to the process of living on (and, if possible, continuing to grow) one’s saved wealth. At each stage, of course, complications can set in—say, changes in such conditions as marital or employment status or in the overall economic outlook. Finally, as you can also see, your financial needs will probably peak somewhere in stage 2, at approximately age fifty-five, or ten years before typical retirement age. Until you’re eighteen or so, you probably won’t generate much income; for the most part, you’ll be living off your parents’ wealth. 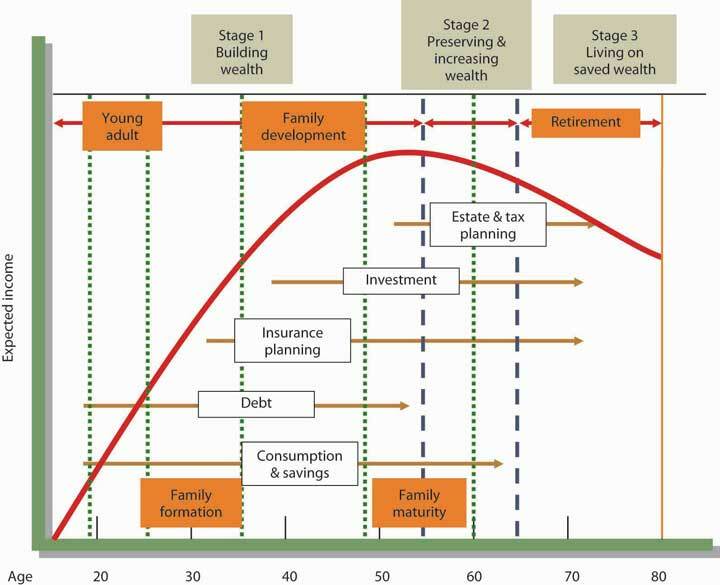 In our hypothetical life cycle, however, financial planning begins in the individual’s early twenties. If that seems like rushing things, consider a basic fact of life: this is the age at which you’ll be choosing your career—not only the sort of work you want to do during your prime income-generating years, but also the kind of lifestyle you want to live in the process.See Arthur J. Keown, Personal Finance: Turning Money into Wealth, 4th ed. (Upper Saddle River, NJ: Pearson Education, 2007), 11. What about college? Most readers of this book, of course, have decided to go to college. If you haven’t yet decided, you need to know that college is an extremely good investment of both money and time. Source: Adapted from U.S. Census Bureau, “One-Third of Young Women Have Bachelor’s Degrees” (U.S. Department of Commerce, January 10, 2008), http://www.census.gov/Press-Release/www/releases/archives/education/011196.html (accessed September 18, 2008). And what about the debt that so many people accumulate to finish college? For every $1 that you spend on your college education, you can expect to earn about $35 during the course of your financial life cycle.See Katharine Hansen, “What Good Is a College Education Anyway?” Quintessential Careers (2008), http://www.quintcareers.com/college_education_value.html (accessed September 18, 2008). At that rate of return, you should be able to pay off your student loans (unless, of course, you fail to practice reasonable financial planning). Naturally, there are exceptions to these average outcomes. You’ll find English-lit majors stocking shelves at 7-Eleven, and you’ll find college dropouts running multibillion-dollar enterprises. Microsoft cofounder Bill Gates dropped out of college after two years, as did his founding partner, Paul Allen. Current Microsoft CEO Steve Ballmer finished his undergraduate degree but quit his MBA program to join Microsoft (where he apparently fit in among the other dropouts in top management). It’s always good to remember, however, that though exceptions to rules (and average outcomes) occasionally modify the rules, they invariably fall far short of disproving them: in entrepreneurship as in most other walks of adult life, the better your education, the more promising your financial future. One expert in the field puts the case for the average person bluntly: educational credentials “are about being employable, becoming a legitimate candidate for a job with a future. They are about climbing out of the dead-end job market.”John G. Ramsay, Perlman Center for Learning and Teaching, quoted by Katharine Hansen, “What Good Is a College Education Anyway?” Quintessential Careers (2008), http://www.quintcareers.com/college_education_value.html (accessed September 18, 2008). Finally, does it make any difference what you study in college? To a perhaps surprising extent, not necessarily. Some career areas, such as engineering, architecture, teaching, and law, require targeted degrees, but the area of study designated on your degree often doesn’t matter much when you’re applying for a job. If, for instance, a job ad says, “Business, communications, or other degree required,” most applicants and hires will have those “other” degrees. When poring over résumés for a lot of jobs, potential employers look for the degree and simply note that a candidate has one; they often don’t need to focus on the particulars.See J. D. Roth, “The Value of a College Education,” MSN Money, February 4, 2008, http://blogs.moneycentral.msn.com/smartspending/archive/2008/02/04/the-value-of-a-college-education.aspx (accessed September 18, 2008). This is not to say, however, that all degrees promise equal job prospects. 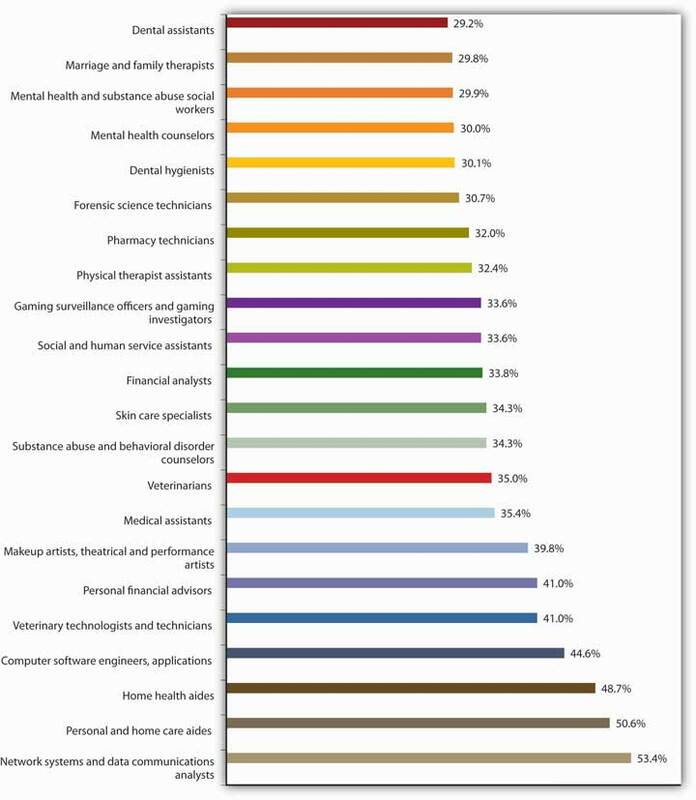 Figure 14.5 "Top 25 Fastest-Growing Jobs, 2006–2016", for example, summarizes a U.S. Bureau of Labor Statistics projection of the thirty fast-growing occupations for the years 2006–2016. Veterinary technicians and makeup artists will be in demand as never before, but as you can see, occupational prospects are fairly diverse. Source: Data from U.S. Bureau of Labor Statistics, “The 30 Fastest-Growing Occupations, 2006–2016” (Washington, DC, December 4, 2007), Table 6, at http://data.bls.gov/cgi-bin/print.pl/news.release/ecopro.t06.htm (September 20, 2008). Sources: Daniel Penrice, “Major Moolah: Adding Up the Earnings Gaps in College Majors,” N.U. Magazine (January 1999), http://www.northeastern.edu/magazine/9901/labor.html (accessed September 18, 2008). Data from Paul Harrington and Andrew Sum, “The Post-College Earnings Experiences of Bachelor Degree Holders in the U.S.: Estimated Economic Returns to Major Fields of Study,” in Learning and Work on Campus and on the Job: The Evolving Relationship between Higher Education and Employment, ed. S. Reder, B. A. Holland, and M. P. Latiolais (in preparation). In short, when you’re planning what to do with the rest of your life, it’s a good idea to check into the fine points and realities, as well as the statistical data. If you talk to career counselors and people in the workforce, you might be surprised by what you learn about the relationship between certain college majors and various occupations. Onetime Hewlett-Packard CEO Carly Fiorina majored in medieval history and philosophy. Scholarships, which don’t have to be repaid, are awarded based on a number of criteria, including academic achievement, athletic or artistic talent, special interest in a particular field of study, ethnic background, or religious affiliation. Scholarships are generally funded by private donors such as alums, religious institutions, companies, civic organizations, professional associations, and foundations. Grants, which also don’t have to be repaid, are awarded based on financial need. They’re funded by the federal government, the states, and academic institutions. An example of a common federal grant is the Pell Grant, which is awarded to undergraduate students based on financial need. The maximum Pell Grant award for the 2008–2009 award year (July 1, 2008, to June 30, 2009) is $4,731.Federal Student Aid, http://studentaid.ed.gov/PORTALSWebApp/students/english/PellGrants.jsp (accessed August 30, 2008). Education loans, which must be repaid, are available to students from various sources, including the federal government, states, and academic institutions. While recent problems in the credit markets have made college loans more difficult to obtain, most students are able to get the loans they need.Susan Snyder, “College lending tight but available,” The Philadelphia Inquirer, August 18, 2008, http://www.philly.com/inquirer/education/20080818_College_lending_tight_but_available.html (accessed August 30, 2008). The loans offered directly to undergraduate students by the federal government include the need-based, subsidized Federal Stafford, the non–need-based unsubsidized Federal Stafford, and the need-based Federal Perkins loans. With the exception of the unsubsidized Federal Stafford, no interest accrues while the student is enrolled in college at least part time. There are also a number of loans available to parents of students, such as the Federal PLUS program. Under this program, parents can borrow federally guaranteed low-interest loans to fund their child’s education. Work-studyFederally sponsored program that provides students with paid, part-time jobs on campus. is a federally sponsored program that provides students with paid, part-time jobs on campus. Because the student is paid based on work done, the funds received don’t have to be repaid. As was highlighted earlier, your financial life cycle begins at the point when you choose a career. Building your career takes considerable planning. It begins with the selection of a major in college and continues through graduation as you enter the workforce full time. You can expect to hold a number of jobs over your working life. If things go as they should, each job will provide valuable opportunities and help you advance your career. A big challenge is getting a job offer in your field of interest, evaluating the offer, and (if you have several options) selecting the job that’s right for you.This section is based in part on sections 13 and 14 of the Playbook for Life by The Hartford. The Playbook can be found on line at http://www.playbook.thehartford.com. Most likely your college has a career center. The people working there can be a tremendous help to you as you begin your job search. But most of the work has to be done by you. Like other worthwhile projects, your job search project will be very time-consuming. As you get close to graduation, you’ll need to block out time to work on this particularly important task. The first step is to prepare a résuméA document that provides a summary of educational achievements and relevant job experience., a document that provides a summary of educational achievements and relevant job experience. Its purpose is to get you an interview. A potential employer will likely spend less than a minute reviewing your résumé, so its content should be concise, clear, and applicable to the job for which you’re applying. For some positions, the person in charge of hiring might read more than a hundred résumés. If you don’t want your résumé kicked out right away, be sure it contains no typographical or grammatical errors. Once you’ve completed your résumé, you can use it to create different versions tailored to specific companies you’d like to work for. Your next step is to write a cover letterA document accompanying your résumé that explains why you’re sending your résumé and highlights your qualifications., a document accompanying your résumé that explains why you’re sending your résumé and highlights your qualifications. You can find numerous tips on writing résumés and cover letters (as well as samples of both) online. Be sure your résumé is accurate: never lie or exaggerate in a résumé. You could get caught and not get the job (or—even worse—you could get the job, get caught, and then get fired). It’s fairly common practice for companies to conduct background checks of possible employees, and these checks will point out any errors. In effect, says one expert, “you jeopardize your future when you lie about your past.”Kim Isaacs, “Lying on Your Resume: What Are the Career Consequences?,” Monster.com, http://career-advice.monster.com/resume-writing-basics/Lying-on-Your-Resume/home.aspx (accessed August 30, 2008). After writing your résumé and cover letter, your next task is to create a list of companies you’d like to work for. Use a variety of sources, including your career services office and company Web sites, to decide which companies to put on your list. Visit the “career or employment” section of the company Web sites and search for specific openings. Once you spot a position you want, send your résumé and cover letter (tailored to the specific company and job). Follow up in a few days to be sure your materials got to the right place, and offer to provide any additional information. Keep notes on all contacts. Preparing well for an interview can make it easier to relax and help the interviewer get to know you. When you’re invited for an interview, visit to the company’s Web site and learn as much as you can about the company. Practice answering questions you might be asked during the interview, and think up a few pertinent questions to ask your interviewer. Dress conservatively—males should wear a suit and tie and females should wear professional-looking clothes. Try to relax during the interview (though everyone knows this isn’t always easy). Your goal is to get an offer, so let the interviewer learn who you are and how you can be an asset to the company. Send a thank-you note (or thank-you e-mail) to the interviewer after the interview. Let’s be optimistic and say that you did quite well in your interviews, and you have two job offers. It’s a great problem to have, but now you have to decide which one to accept. Salary is important, but it’s clearly not the only factor. You should consider the opportunities the position offers: will you learn new things on the job, how much training will you get, could you move up in the organization (and if so, how quickly)? Also consider quality of life issues: how many hours a week will you have to work, is your schedule predictable (or will you be asked to work on a Friday night or Saturday at the last minute), how flexible is your schedule, how much time do you get off, how stressful will the job be, do you like the person who will be your manager, do you like your coworkers, how secure is the job, how much travel is involved, where’s the company located, and what’s the cost of living in that area? Finally, consider the financial benefits you’ll receive. These could include health insurance, disability insurance, flexible spending accounts, and retirement plans. Let’s talk more about the financial benefits, beginning with health insurance. Employer-sponsored health insuranceInsurance plan paid for by the employer that covers medical care for the employee only, or for the employee, spouse, and children. plans vary greatly. Some cover the employee only, while others cover the employee, spouse, and children. Some include dental and eye coverage while others don’t. Most plans require employees to share some of the cost of the medical plan (by paying a portion of the insurance premiums and a portion of the cost of medical care). But the amount that employees are responsible for varies greatly. Given the rising cost of health insurance, it’s important to understand the specific costs associated with a health care plan and to take these costs into account when comparing job offers. More important, it’s vital that you have medical insurance. Young people are often tempted to go without medical insurance, but this is a major mistake. An uncovered, costly medical emergency (say you’re rushed to the hospital with appendicitis) can be a financial disaster. You could end up paying for your hospital and doctor care for years. Disability insurancePays an income to an insured person when he or she is unable to work for an extended period. isn’t as well known as medical insurance, but it can be as important (if not more so). Disability insurance pays an income to an insured person when he or she is unable to work for an extended period. You would hope that you’d never need disability insurance, but if you did it would be of tremendous value. A flexible spending accountAllows a specified amount of pretax dollars to be used to pay for qualified expenses, including health care and child care. allows a specified amount of pretax dollars to be used to pay for qualified expenses, including health care and child care. By paying for these costs with pretax dollars, employees are able to reduce their tax bill. There are two main types of retirement plans. One, called a defined benefit planProvides a set amount of money each month to retirees based on the number of years they worked and the income they earned., provides a set amount of money each month to retirees based on the number of years they worked and the income they earned. This form of retirement plan was once very popular, but it’s less common today. The other, called a defined contribution planA form of retirement savings plan in which both the employee and the employer may contribute., is a form of savings plan. The employee contributes money each pay period to his or her retirement account, and the employer matches a portion of the contribution. Even when retirement is exceedingly far into the future, it’s financially wise to set aside funds for retirement. Finance concerns the flow of money from one place to another; your personal finances concern your money and what you plan to do with it as it flows in and out of your possession. Personal finance is thus the application of financial principles to the monetary decisions that you make, either for your individual benefit or for that of your family. Financial planning is the ongoing process of managing your personal finances to meet goals that you’ve set for yourself or your family. According to the model of the financial life cycle, financial planning begins in the individual’s early twenties, the age at which most people choose a career—both the sort of work they want to do during their income-generating years and the kind of lifestyle they want to live in the process. College is a good investment of both money and time. People who graduate from high school can expect to improve their average annual earnings by about 49 percent over those of people who don’t, and those who go on to finish college can expect to generate 82 percent more annual income than that. The area of study designated on your degree often doesn’t matter when you’re applying for a job: when poring over résumés, employers often look for the degree and simply note that a candidate has one. The first step in your job search is to prepare a résumé, a document that provides a summary of educational achievements and relevant job experience. Your résumé should be concise, clear, applicable to the job for which you are applying, and free of errors and inaccuracies. A cover letter is a document that accompanies your résumé and explains why you’re sending your résumé and highlights your qualifications. Visit career Web sites, such as Monster.com, Wetfeet.com, or Careerbuilder.com. Search classified ads in online and print newspapers. Attend career fairs at your college and in your community. Talk with recruiters when they visit your campus. Contact people you know, tell them you’re looking for a job, and ask for their help. When you’re invited for an interview, you should research the company, practice answering questions you might be asked in the interview, and think up pertinent questions to ask the interviewer. When comparing job offers, consider more than salary. Also of importance are quality of life issues and benefits. Common financial benefits include health insurance, disability insurance, flexible spending accounts, and retirement plans. Employer-sponsored health insurance plans vary greatly in coverage and cost to the employee. Disability insurance pays an income to an insured person when he or she is unable to work for an extended period of time. A flexible spending account allows a specified amount of pretax dollars to be used to pay for qualified expenses, including health care and child care. By paying for these costs with pretax dollars, employees are able to reduce their tax bill. There are two main types of retirement plans: a defined benefit plan, which provides a set amount of money each month to retirees based on the number of years they worked and the income they earned, and a defined contribution plan, which is a form of savings plan into which both the employee and employer contribute. A well-known defined contribution plan is a 401(K). Think of the type of job you’d like to have. Describe the job and indicate how you’d go about getting a job offer for this type of job. How would you evaluate competing offers from two companies? What criteria would you use in selecting the right job for you? Explain compound interest and the time value of money. Discuss the value of getting an early start on your plans for saving. The fact that you have to choose a career at an early stage in your financial life cycle isn’t the only reason that you need to start early on your financial planning. Let’s assume, for instance, that it’s your eighteenth birthday and that on this day you take possession of $10,000 that your grandparents put in trust for you. You could, of course, spend it; in particular, it would probably cover the cost of flight training for a private pilot’s license—something you’ve always wanted but were convinced that you couldn’t afford for another ten or fifteen years. Your grandfather, of course, suggests that you put it into some kind of savings account. If you just wait until you finish college, he says, and if you can find a savings plan that pays 5 percent interest, you’ll have the $10,000 plus another $2,209 to buy a pretty good used car. The total amount you’ll have— $12,209—piques your interest. If that $10,000 could turn itself into $12,209 after sitting around for four years, what would it be worth if you actually held on to it until you did retire—say, at age sixty-five? A quick trip to the Internet to find a compound-interest calculator informs you that, forty-seven years later, your $10,000 will have grown to $104,345 (assuming a 5 percent interest rate). That’s not really enough to retire on, but after all, you’d at least have some cash, even if you hadn’t saved another dime for nearly half a century. On the other hand, what if that four years in college had paid off the way you planned, so that (once you get a good job) you’re able to add, say, another $10,000 to your retirement savings account every year until age sixty-five? At that rate, you’ll have amassed a nice little nest egg of slightly more than $1.6 million. In your efforts to appreciate the potential of your $10,000 to multiply itself, you have acquainted yourself with two of the most important concepts in finance. As we’ve already indicated, one is the principle of compound interestInterest earned on your savings is added to the money in your savings account, and the new total (principle plus interest) earns more interest., which refers to the effect of earning interest on your interest. Let’s say, for example, that you take your grandfather’s advice and invest your $10,000 (your principal) in a savings account at an annual interest rate of 5 percent. Over the course of the first year, your investment will earn $512 in interest and grow to $10,512. If you now reinvest the entire $10,512 at the same 5 percent annual rate, you’ll earn another $537 in interest, giving you a total investment at the end of year 2 of $11,049. And so forth. And that’s how you can end up with $104,345 at age sixty-five. You’ve also encountered the principle of the time value of moneyThe principle whereby a dollar received in the present is worth more than a dollar received in the future.—the principle whereby a dollar received in the present is worth more than a dollar received in the future. If there’s one thing that we’ve stressed throughout this chapter so far, it’s the fact that, for better or for worse, most people prefer to consume now rather than in the future. This is true for both borrowers and lenders. If you borrow money from me, it’s because you can’t otherwise buy something that you want at the present time. If I lend it to you, it’s because I’m willing to postpone the opportunity to purchase something I want at the present time—perhaps a risk-free, ten-year U.S. Treasury bond with a present yield rate of 3 percent. I’m willing to forego my opportunity, however, only if I can get some compensation for its loss, and that’s why I’m going to charge you interest. And you’re going to pay the interest because you need the money to buy what you want to buy. How much interest should we agree on? In theory, it could be just enough to cover the cost of my lost opportunity, but there are, of course, other factors. Inflation, for example, will have eroded the value of my money by the time I get it back from you. In addition, while I would be taking no risk in loaning money to the U.S. government (as I would be doing if I bought that Treasury bond), I am taking a risk in loaning it to you. Our agreed-on rate will reflect such factors.See Timothy J. Gallager and Joseph D. Andrews Jr., Financial Management: Principles and Practice, 3rd ed. (Upper Saddle River, NJ: Prentice Hall, 2003), 34, 196. Finally, the time value of money principle also states that a dollar received today starts earning interest sooner than one received tomorrow. Let’s say, for example, that you receive $2,000 in cash gifts when you graduate from college. At age twenty-three, with your college degree in hand, you get a decent job and don’t have an immediate need for that $2,000. So you put it into an account that pays 10 percent compounded and you add another $2,000 ($167 per month) to your account every year for the next eleven years.This 10 percent interest rate is not realistic for today’s economic environment. It’s used for illustrative purposes only. The left panel of Table 14.3 "Why to Start Saving Early (I)" shows how much your account will earn each year and how much money you’ll have at certain ages between twenty-three and sixty-seven. As you can see, you’d have nearly $52,000 at age thirty-six and a little more than $196,000 at age fifty; at age sixty-seven, you’d be just a bit short of $1 million. The right panel of the same table shows what you’d have if you hadn’t started saving $2,000 a year until you were age thirty-six. As you can also see, you’d have a respectable sum at age sixty-seven—but less than half of what you would have accumulated by starting at age twenty-three. More important, even to accumulate that much, you’d have to add $2,000 per year for a total of thirty-two years, not just twelve. Source: Data from Consumer Credit Counseling Service of Maryland and Delaware Inc., “Power of Saving Early” (2008), http://www.cccs-inc.org/tools/saving_early.html (accessed November 15, 2008). Here’s another way of looking at the same principle. Suppose that you’re twenty years old, don’t have $2,000, and don’t want to attend college full-time. You are, however, a hard worker and a conscientious saver, and one of your (very general) financial goals is to accumulate a $1 million retirement nest egg. As a matter of fact, if you can put $33 a month into an account that pays 12 percent interest compounded,This 12 percent rate is unrealistic in today’s economic environment. It’s used for illustrative purposes only. you can have your $1 million by age sixty-seven. That is, if you start at age twenty. As you can see from Table 14.4 "Why to Start Saving Early (II)", if you wait until you’re twenty-one to start saving, you’ll need $37 a month. If you wait until you’re thirty, you’ll have to save $109 a month, and if you procrastinate until you’re forty, the ante goes up to $366 a month.See Arthur J. Keown, Personal Finance: Turning Money into Wealth, 4th ed. (Upper Saddle River, NJ: Pearson Education, 2007), 23. Source: Arthur J. Keown, Personal Finance: Turning Money into Wealth, 4th ed. (Upper Saddle River, NJ: Pearson Education, 2007), 23. The moral here should be fairly obvious: a dollar saved today not only starts earning interest sooner than one saved tomorrow (or ten years from now) but also can ultimately earn a lot more money in the long run. Starting early means in your twenties—early in stage 1 of your financial life cycle. As one well-known financial advisor puts it: “If you’re in your 20s and you haven’t yet learned how to delay gratification, your life is likely to be a constant financial struggle.”Jonathan Clements, quoted in “An Interview with Jonathan Clements—Part 2,” All Financial Matters, February 10, 2006, http://allfinancialmatters.com/2006/02/10/an-interview-with-jonathan-clements-part-2/ (accessed September 29, 2008). The principle of compound interest refers to the effect of earning interest on your interest. The principle of the time value of money is the principle whereby a dollar received in the present is worth more than a dollar received in the future. The principle of the time value of money also states that a dollar received today starts earning interest sooner than one received tomorrow. Together, these two principles give a significant financial advantage to individuals who begin saving early during the financial-planning life cycle. Click “calculate” and you’ll learn when you’ll become a millionaire (given the above assumptions). Now, let’s change things. We’ll go through this process three times. Change only the items described. Keep all other assumptions the same as those listed above. Change the interest rate to 3 percent and then to 6 percent. Change the savings amount to $200 and then to $800. Write a brief report describing the sensitivity of becoming a millionaire, based on changing interest rates, monthly savings amount, and age at which you begin to invest. Identify the three stages of the personal-finances planning process. Explain how to draw up a personal net-worth statement, a personal cash-flow statement, and a personal budget. 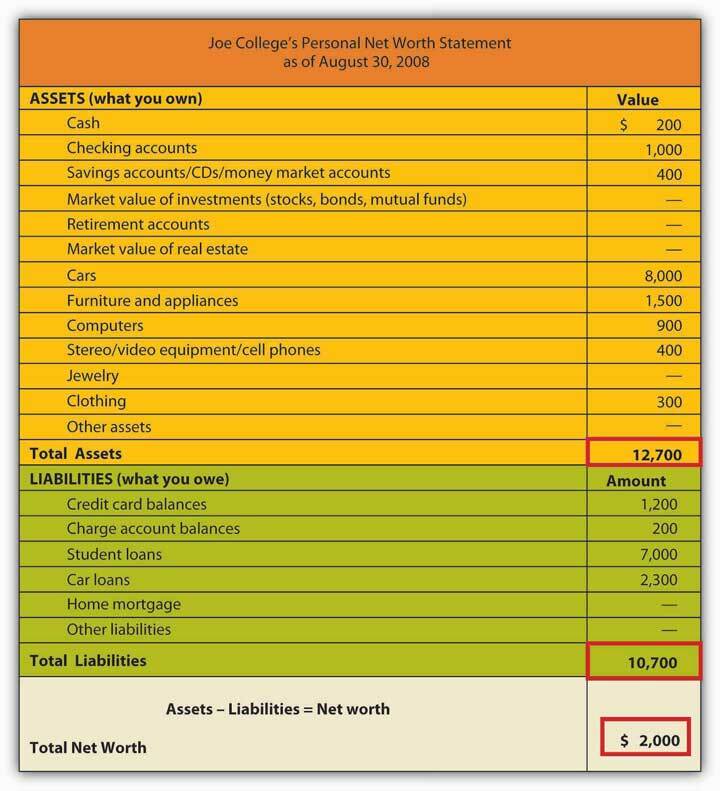 Evaluate your current financial status by creating a net worth statement and a cash flow analysis. Set short-term, intermediate-term, and long-term financial goals. Use a budget to plan your future cash inflows and outflows and to assess your financial performance by comparing budgeted figures with actual amounts. Your personal assets consist of what you own. Your personal liabilities are what you owe—your obligations to various creditors, big and small. First are his monetary or liquid assets—his cash, the money in his checking accounts, and the value of any savings, CDs, and money market accounts. They’re called liquid because either they’re cash or they can readily be turned into cash. Note that we’ve been careful to calculate Joe’s assets in terms of their fair market valueThe price you could get by selling assets at their present price.—the price he could get by selling them at present, not the price he paid for them or the price that he could get at some future time. Anything that Joe owes on such items as his furniture and computer are current liabilities—debts that must be paid within one year. Much of this indebtedness no doubt ends up on Joe’s credit card balance, which is regarded as a current liability because he should pay it off within a year. By contrast, his car payments and student-loan payments are noncurrent liabilities—debt payments that extend for a period of more than one year. Joe is in no position to buy a house, but for most people, their mortgage is their most significant noncurrent liability. Finally, note that Joe has positive net worth. At this point in the life of the average college student, positive net worth may be a little unusual. If you happen to have negative net worth right now, you’re technically insolvent, but remember that a major goal of getting a college degree is to enter the workforce with the best possible opportunity for generating enough wealth to reverse that situation. Now that you know something about your financial status on a given date, you need to know more about it over a period of time. This is the function of a cash-flow or income statementShows where your money has come from and where it’s slated to go., which shows where your money has come from and where it’s slated to go. Joe has been able to maintain a positive cash flow for the year ending August 31, 2008, but he’s cutting it close. Moreover, he’s in the black only because of the inflow from student loans—income that, as you’ll recall from his net worth statement, is also a noncurrent liability. We are, however, willing to give Joe the benefit of the doubt: Though he’s incurring the high costs of an education, he’s willing to commit himself to the debt (and, we’ll assume, to careful spending) because he regards education as an investment that will pay off in the future. Remember that when constructing a cash-flow statement, you must record only income and expenditures that pertain to a given period, whether it be a month, a semester, or (as in Joe’s case) a year. Remember, too, that you must figure both inflows and outflows on a cash basis: you record income only when you receive money, and you record expenditures only when you pay out money. When, for example, Joe used his credit card to purchase his computer, he didn’t actually pay out any money. Each monthly payment on his credit card balance, however, is an outflow that must be recorded on his cash-flow statement (according to the type of expense – say, recreation/entertainment, food, transportation, and so on). Your cash-flow statement, then, provides another perspective on your solvency: if you’re insolvent, it’s because you’re spending more than you’re earning. Ultimately, your net worth and cash-flow statements are most valuable when you use them together. While your net worth statement lets you know what you’re worth—how much wealth you have—your cash-flow statement lets you know precisely what effect your spending and saving habits are having on your wealth. We know from Joe’s cash-flow statement that, despite his limited income, he feels that he can save $1,200 a year. He knows, of course, that it makes sense to have some cash in reserve in case of emergencies (car repairs, medical needs, and so forth), but he also knows that by putting away some of his money (probably each week), he’s developing a habit that he’ll need if he hopes to reach his long-term financial goals. Just what are Joe’s goals? We’ve summarized them in Figure 14.9 "Joe’s Goals", where, as you can see, we’ve divided them into three time frames: short-term (less than two years), intermediate-term (two to five years), and long-term (more than five years). Though Joe is still in an early stage of his financial life cycle, he has identified and structured his goals fairly effectively. In particular, they satisfy four criteria of well-conceived goals: they’re realistic and measurable, and Joe has designated both definite time frames and specific courses of action.Jack R. Kapoor, Les R. Dlabay, and Robert J. Hughes, Personal Finance, 8th ed. (New York: McGraw-Hill, 2007), 81. They’re also sensible. Joe sees no reason, for example, why he can’t pay off his car loan, credit card, and charge account balances within two years. Remember that, with no income other than student-loan money and wages from a part-time job, Joe has decided (rightly or wrongly) to use his credit cards to pay for much of his personal consumption (furniture, electronics equipment, and so forth). It won’t be an easy task to pay down these balances, so we’ll give him some credit (so to speak) for regarding them as important enough to include paying them among his short-term goals. After finishing college, he’ll splurge and take a month-long vacation. This might not be the best thing to do from a financial point of view, but he knows this could be his only opportunity to travel extensively. He is realistic in his classification of student loan repayment and the purchase of a home as long-term. But he might want to revisit his decision to classify saving for his retirement as a long-term goal. This is something we believe he should begin as soon as he starts working full-time. Once he has reviewed his cash-flow statement, Joe has a much better idea of what cash flowed in for the year that ended August 31, 2008, and a much better idea of where it went when it flowed out. Now he can ask himself whether he’s satisfied with his annual inflow (income) and outflow (expenditures). If he’s anything like most people, he’ll want to make some changes—perhaps to increase his income, to cut back on his expenditures, or, if possible, both. The first step in making these changes is drawing up a personal budgetA document that itemizes the sources of income and expenditures for a future period (often a year).—a document that itemizes the sources of his income and expenditures for the coming year, along with the relevant money amounts for each. Because he doesn’t want to jeopardize his grades by increasing his work hours, he’ll have to reconcile himself to just about the same wages for another year. He’ll need to apply for another $7,000 student loan. If he’s willing to cut his spending by $1,200, he can pay off his credit cards. Toward this end, he’s targeted the following expenditures for reduction: rent (get a cheaper apartment), phone costs (switch plans), auto insurance (take advantage of a “good-student” discount), and gasoline (pool rides or do a little more walking). Fortunately, his car loan will be paid off by midyear. Revising his figures accordingly, Joe developed the budget in Figure 14.10 "Joe’s Budget" for the year ending August 31, 2009. Look first at the column headed “Budget.” If things go as planned, Joe expects a cash surplus of $1,600 by the end of the year—enough to pay off his credit card debt and leave him with an extra $400. Expense variance. When the actual amount of an expenditure is more than he had budgeted for, he records it as an “unfavorable” variance. (This also makes sense, as you’d find it unfavorable if you spent more than the budgeted amount.) When the actual amount is less than budgeted, he records it as a “favorable” variance. Before we leave the subject of the financial-planning process, let’s revisit the topic of Joe’s goals. Another look at Figure 14.9 "Joe’s Goals" reminds us that, at the current stage of his financial life cycle, Joe has set fairly simple goals. We know, for example, that Joe wants to buy a home, but when does he want to take this major financial step? And of course, Joe wants to retire, but what kind of lifestyle does he want in retirement? Does he expect, like most people, a retirement lifestyle that’s more or less comparable to that of his peak earning years? Will he be able to afford both the cost of a comfortable retirement and, say, the cost of sending his children to college? As Joe and his financial circumstances mature, he’ll have to express these goals (and a few others) in more specific terms. A standard of living that reflects a certain level of comfort—a level associated with the possession of certain assets, both tangible and intangible. The ability to provide his children with college educations. A retirement lifestyle comparable to that of his peak earning years. Having set this secondary level of goals, Joe’s now ready to make specific plans for reaching them. As we’ve already seen, Joe understands that plans are far more likely to work out when they’re focused on specific goals. His next step, therefore, is to determine the goals on which he should focus this next level of plans. As it turns out, Joe already knows what these goals are, because he’s been setting the appropriate goals every year since he drew up the cash-flow statement in Figure 14.8 "Cash-Flow Statement". In drawing up that statement, Joe was careful to create several line items to identify his various expenditures: housing, food, transportation, personal and health care, recreation/entertainment, education, insurance, savings, and other expenses. When we introduced these items, we pointed out that each one represents a cash outflow—something for which Joe expected to pay. They are, in other words, things that Joe intends to buy or, in the language of economics, consume. As such, we can characterize them as consumption goals. These “purchases”—what Joe wants in such areas as housing, insurance coverage, recreation/entertainment, and so forth—make specific his secondary goals and are therefore his third-level goals. 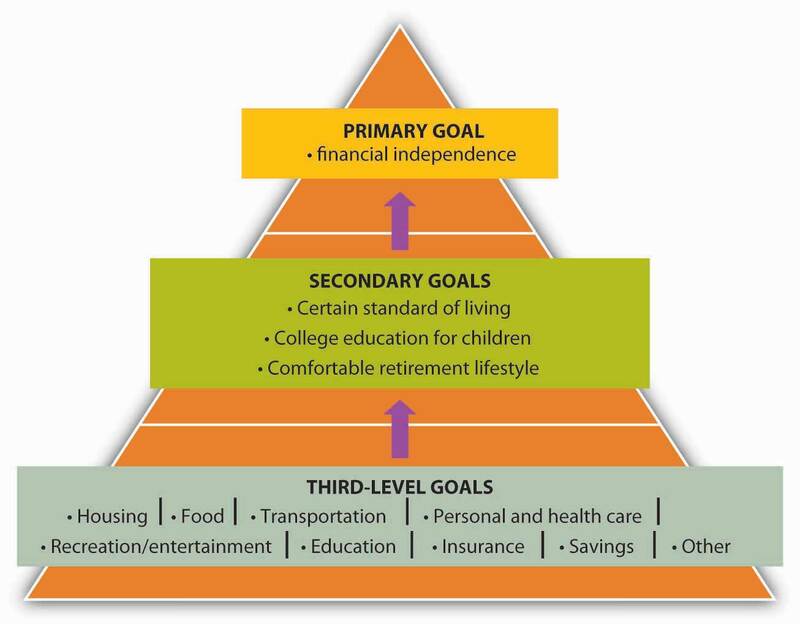 Figure 14.11 "Three-Level Goals/Plans" gives us a full picture of Joe’s three-level hierarchy of goals. We can call the first category present goals because each item is intended to meet Joe’s present needs and those (we’ll now assume) of his family—housing, health care coverage, and so forth. They must be paid for as Joe and his family take possession of them—that is, when they use or consume them. All these things are also necessary to meet the first of Joe’s secondary goals—a certain standard of living. The items in the second category of Joe’s consumption goals are aimed at meeting his other two secondary goals: sending his children to college and retiring with a comfortable lifestyle. He won’t take possession of these purchases until some time in the future, but (as is so often the case) there’s a catch: they must be paid for out of current income. 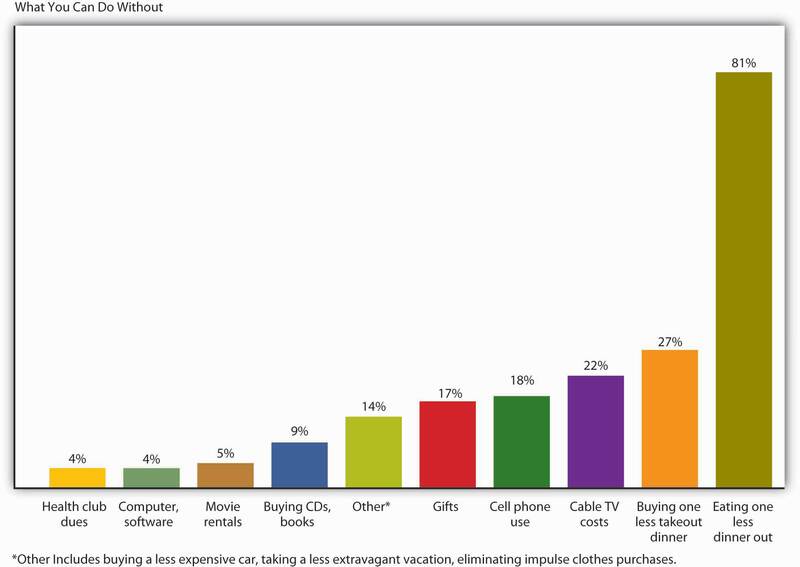 Joe’s desire to meet this second category of consumption goals—future goals such as education for his kids and a comfortable retirement for himself and his wife—accounts for the appearance on his list of the one item that, at first glance, may seem misclassified among all the others: namely, savings. 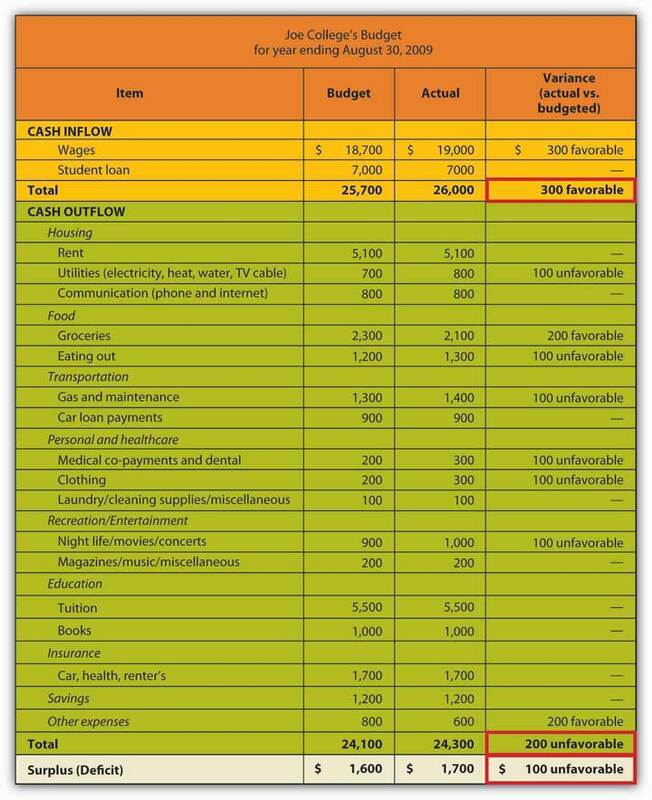 It’s tempting to glance at Joe’s budget and cash-flow statement and assume that he shares with most of us a common attitude toward saving money: when you’re done allotting money for various spending needs, you can decide what to do with what’s left over—save it or spend it. In reality, however, Joe’s budgeting reflects an entirely different approach. When he made up the budget in Figure 14.10 "Joe’s Budget", Joe started out with the decision to save $1,600—or at least to avoid spending it. Why? Because he had a goal: to be free of credit card debt. To meet this goal, he planned to use $1,200 of his current income to pay off what would continue to hang over his head as a future expense (his credit card debt). In addition, he planned to have $400 left over after he’d paid his credit card balance. Why? Because he had still longer-term goals, and he intended to get started on them early—as soon as he finished college. Thus his intention from the outset was to put $400 into savings. He calculated his income—total cash inflows from his student loan and his part-time job ($27,500). He subtracted from his total income two targeted consumption goals—credit card payments ($1,200) and savings ($400). He allocated what was left ($24,100) to his remaining consumption goals: housing ($7,000), food ($3,500), education ($6,600), and so forth. If you’re concerned that Joe’s sense of delayed gratification is considerably more mature than your own, think of it this way: Joe has chosen to pay himself first. It’s one of the key principles of personal-finances planning and an important strategy in doing something that we recommended earlier in this chapter—starting early.See Arthur J. Keown, Personal Finance: Turning Money into Wealth, 4th ed. (Upper Saddle River, NJ: Pearson Education, 2007, 22 et passim. Your personal liabilities are what you owe—your obligations to various creditors. Monetary or liquid assets include cash, money in checking accounts, and the value of any savings, CDs, and money market accounts. They’re called liquid because either they’re cash or they can readily be turned into cash. Everything else is a tangible asset—something that can be used, as opposed to an investment. Any debts that should be paid within one year are current liabilities. Noncurrent liabilities consist of debt payments that extend for a period of more than one year. Your net worth is the difference between your assets and your liabilities. Your net worth statement will show whether your net worth is on the plus or minus side on a given date. In step 2 of the financial planning process, you create a cash-flow or income statement, which shows where your money has come from and where it’s slated to go. It reflects your financial status over a period of time. 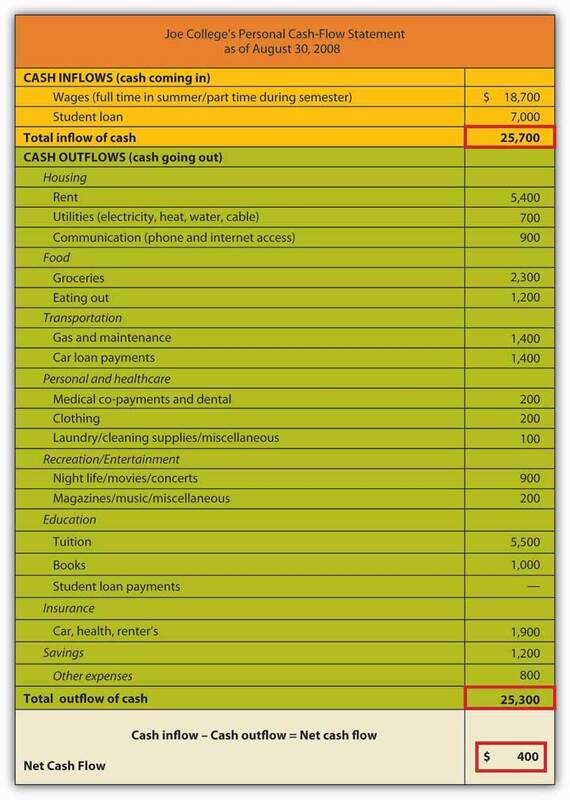 Your cash inflows—the money you have coming in—are recorded as income. Your cash outflows—money going out—are itemized as expenditures in such categories as housing, food, transportation, education, and savings. A good way to approach your financial goals is by dividing them into three time frames: short-term (less than two years), intermediate-term (two to five years), and long-term (more than five years). Goals should be realistic and measurable, and you should designate definite time frames and specific courses of action. Net worth and cash-flow statements are most valuable when used together: while your net worth statement lets you know what you’re worth, your cash-flow statement lets you know precisely what effect your spending and saving habits are having on your net worth. If you’re not satisfied with the effect of your spending and saving habits on your net worth, you may want to make changes in future inflows (income) and outflows (expenditures). You make these changes in step 3 of the financial planning process, when you draw up your personal budget—a document that itemizes the sources of your income and expenditures for a future period (often a year). The “Budget” column tracks the amounts of money that you plan to receive or to pay out over the budget period. The “Actual” column records the amounts that did in fact come in or go out. The final column records the variance for each item—the difference between the amount in the “Budget” column and the corresponding amount in the “Actual” column. An income variance occurs when actual income is higher than budgeted income (or vice versa). An expense variance occurs when the actual amount of an expenditure is higher than the budgeted amount (or vice versa). Identify short-term, intermediate-term, and long-term financial goals. Create a budget (for a month or a year). Estimate future income and expenditures. Make up “actual” figures and calculate a variance by comparing budgeted figures with actual amounts. Discuss the trend in the U.S. savings rate in the years 2001–2008. Define a subprime loan and explain the difference between a fixed-rate mortgage and an adjustable-rate mortgage. Discuss what can go wrong with a subprime loan at an adjustable rate. Discuss what can go wrong with hundreds of thousands of subprime loans at adjustable rates. Define risk and explain some of the risks entailed by personal financial transactions. Joe isn’t old enough to qualify, but if his grandfather had deposited $1,000 in an account paying 7 percent interest in 1945, it would now be worth $64,000. That’s because money invested at 7 percent compounded will double every ten years. Now, $64,000 may or may not seem like a significant return over fifty years, but after all, the money did all the heavy lifting, and given the miracle of compound interest, it’s surprising that Americans don’t take greater advantage of the opportunity to multiply their wealth by saving more of it, even in modest, interest-bearing accounts. Ironically, with $790 billion in credit card debt, it’s obvious that a lot of American families are experiencing the effects of compound interest—but in reverse.Robert H. Frank, “Americans Save So Little, but What Can Be Done to Change That?” New York Times, March 17, 2005, http://www.robert-h-frank.com/PDFs/ES.3.17.05.pdf (accessed September 23, 2008). As a matter of fact, though Joe College appears to be on the right track when it comes to saving, many people aren’t. A lot of Americans, it seems, do indeed set savings goals, but in one recent survey, nearly 70 percent of the respondents reported that they fell short of their monthly goals because their money was needed elsewhere. About one third of Americans say that they’re putting away something but not enough, and another third aren’t saving anything at all. Almost one fifth of all Americans have net worth of zero—or less.Don Taylor, “Two-Thirds of Americans Don’t Save Enough,” Bankrate.com, October 2007, http://www.bankrate.com/brm/news/retirement/Oct_07_retirement_poll_results_a1.asp (accessed September 23, 2008); Robert H. Frank, “Americans Save So Little, but What Can Be Done to Change That?” New York Times, March 17, 2005, http://www.robert-h-frank.com/PDFs/ES.3.17.05.pdf (accessed September 23, 2008). As we indicated in the opening section of this chapter, this shortage of savings goes hand in hand with a surplus in spending. “My parents,” says one otherwise gainfully employed American knowledge worker, “are appalled at the way I justify my spending. I think, ‘Why work and make money unless you're going to enjoy it?’ That’s a fine theory,” she adds, “until you’re sixty, homeless, and with no money in the bank.”Quoted by Marilyn Gardner, “Why Can’t Americans Save a Dime?” Christian Science Monitor (2008), http://moneycentral.msn.com/content/Savinganddebt/Savemoney/P145775.asp (accessed September 23, 2008). And indeed, if she doesn’t intend to alter her personal-finances philosophy, she has good reason to worry about her “older adult” years. Sixty percent of Americans over the age of sixty-five have less than $100,000 in savings, and only 30 percent of this group have more than $25,000; 45 percent have less than $15,000. As for income, 75 percent of people over age sixty-five generate less than $35,000 annually, and 30 percent are in the “poverty to near-poverty” range of $10,000 to $20,000 (as compared to 12 percent of the under-sixty-five population).Rose M. Rubin, Shelley I. White-Means, and Luojia Mao Daniel, “Income Distribution of Older Americans,” Monthly Labor Review, November 2000, http://64.233.169.104/search?q=cache:frwuleZs6gsJ:http://www.bls.gov/opub/mlr/2000/11/art2full.pdf+how+many+older+Americans+are+on+welfare&hl=en&ct=clnk&cd=38&gl=us (accessed September 23, 2008). 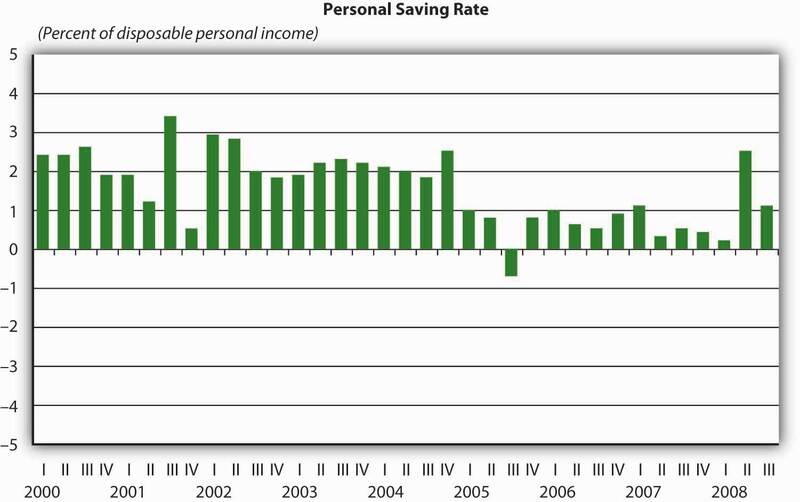 Figure 14.12 "U.S. Savings Rate" shows the U.S. savings rate—which measures the percentage of disposable income devoted to savings—from 2001 to mid-2008. As you can see, it suffered a steep decline at the beginning of 2005 and, until the first quarter of 2008, remained significantly below pre-2005 figures. The period that jumps out, of course, is the third quarter of 2005, when the rate dipped into the negative realm, at –0.5 percent of disposable income.Bureau of Economic Analysis, “Personal Savings Rate,” National Economic Accounts, August 28, 2008, http://www.bea.gov/briefrm/saving.htm (accessed September 23, 2008); Laura Bruce, “Negative Personal Savings Rate: What Does It Mean?” Bankrate.com, March 8, 2006, http://www.bankrate.com/brm/news/sav/20060308a1.asp (accessed September 23, 2008); Andrea Dickson, “U.S. Personal Savings Rate Close to Depression-Era Rates,” Wisebread, February 2, 2007, http://www.wisebread.com/u-s-personal-savings-rate-close-to-depression-era-rates (accessed September 23, 2008). This figure means that, over this four-month period, Americans not only spent all their disposable income—what they had left over after taxes—but also they dipped into money that they’d already committed to savings. What does it mean if your personal savings rate is negative? It means that you might still have savings but that, at least for the period in question, you spent more than you earned and removed cash from your savings. Now, a widespread tendency on the part of Americans to spend rather than save doesn’t account entirely for the downward shift in the savings rate. In late 2005, the Federal Reserve cited at least two other (closely related) factors in the decline of savings:Federal Reserve Bank of San Francisco, “Spendthrift Nation,” Economic Research and Data, November 10, 2005, http://www.frbsf.org/publications/economics/letter/2005/el2005-30.html (accessed September 24, 2008). Let’s assume that you weren’t ready to take advantage of the boom in mortgage loans in 2000 but did set your sights on 2005. You may not have been ready to buy a house in 2005 either, but there’s a good chance that you got a loan anyway. In particular, some lender might have offered you a so-called subprime mortgage loanMortgage loans made to borrowers who don’t qualify for market-set interest rates because of one or more risk factors.. Subprime loans are made to borrowers who don’t qualify for market-set interest rates because of one or more risk factors—income level, employment status, credit history, ability to make only a very low down payment. As of March 2007, U.S. lenders had written $1.3 trillion in mortgages like yours.Associated Press, “How Severe Is Subprime Mess?” MSNBC.com, March 13, 2007, http://www.msnbc.msn.com/id/17584725 (accessed September 25, 2008). Granted, your terms might not have been very good. For one thing, interest rates on subprime loans may run from 8 percent to 10 percent and higher.“Subprime Mortgage Pricing Varies Greatly among U.S. Cities, consumeraffairs.com, September 13, 2005, http://www.consumeraffairs.com/news04/2005/subprime_study.html (accessed September 26, 2008). In addition, you probably had to settle for an adjustable-rate mortgage (ARM)Mortgage that’s pegged to the increase or decrease of certain interest rates that your lender has to pay.—one that’s pegged to the increase or decrease of certain interest rates that your lender has to pay. When you signed your mortgage papers, you knew that if those rates went up, your mortgage rate—and your monthly payments—would go up, too. Fortunately, however, you had a plan B: with the value of your new asset appreciating even as you enjoyed living in it, it wouldn’t be long before you could refinance it at a more manageable and more predictable rate. Now imagine your dismay when housing prices started to go down in 2006 and 2007. As a result, you weren’t able to refinance, your ARM was set to adjust upward in 2008, and foreclosures were already happening all around you—1.3 million in 2007 alone.Justin Lahart, “Egg Cracks Differ in Housing, Finance Shells,” Wall Street Journal, July 13, 2008. By April 2008, one in every 519 American households had received a foreclosure notice.RealtyTrac Inc., “Foreclosure Activity Increases 4 Percent in April, realtytrac.com, May 14, 2008. By August, 9.2 percent of the $12 trillion in U.S. mortgage loans was delinquent or in foreclosure.Mortgage Bankers Association, “Delinquencies and Foreclosures Increase in Latest MBA National Delinquency Survey,” September 5, 2008, http://www.mbaa.org/NewsandMedia/PressCenter/64769.htm (accessed September 25, 2008); Charles Duhigg, “Loan-Agency Woes Swell from a Trickle to a Torrent,” nytimes.com, July 11, 2008, http://www.nytimes.com/2008/07/11/business/11ripple.html?ex=1373515200&en=8ad220403fcfdf6e&ei=5124&partner=permalink&exprod=permalink. 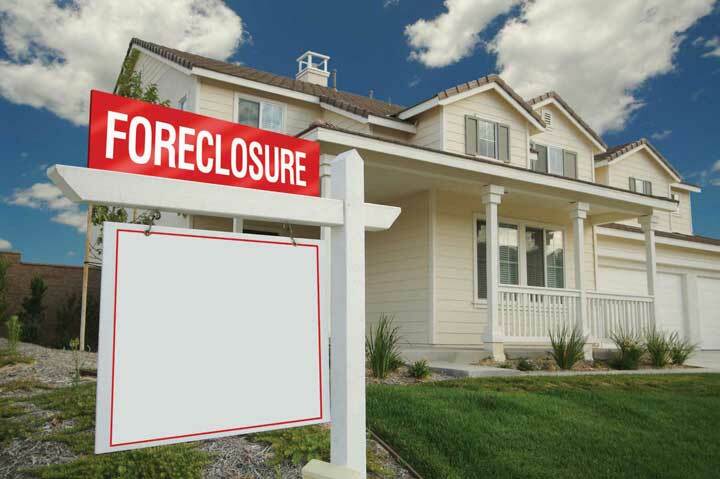 In 2008, nearly one out of five hundred households in the U.S. received a foreclosure notice. The repercussions? Banks and other institutions that made mortgage loans were the first sector of the financial industry to be hit. Largely because of mortgage-loan defaults, profits at more than 8,500 U.S. banks dropped from $35 billion in the fourth quarter of 2006 to $650 million in the corresponding quarter of 2007 (a decrease of 89 percent). Bank earnings for the year 2007 declined 31 percent and dropped another 46 percent in the first quarter of 2008.Federal Deposit Insurance Corporation, Quarterly Banking Profile (Fourth Quarter 2007), http://www.2.fdic.gov/qbp/2007dec/qbp.pdf (accessed September 25, 2008); FDIC, Quarterly Banking Profile (First Quarter 2008), http://www.2.fdic.gov/qbp/2008mar/qbp.pdf (accessed September 25, 2008). Losses in this sector were soon felt by two publicly traded government-sponsored organizations, the Federal National Mortgage Association (Fannie Mae) and the Federal Home Loan Mortgage Corporation (Freddie Mac). Both of these institutions are authorized to make loans and provide loan guarantees to banks, mortgage companies, and other mortgage lenders; their function is to make sure that these lenders have enough money to lend to prospective home buyers. Between them, Fannie Mae and Freddie Mac backed approximately half of that $12 trillion in outstanding mortgage loans, and when the mortgage crisis hit, the stock prices of the two corporations began to drop steadily. In September 2008, amid fears that both organizations would run out of capital, the U.S. government took over their management. Freddie Mac also had another function: to increase the supply of money available for mortgage loans and new home purchases, Freddie Mac bought mortgages already written by lenders, pooled them, and sold them as mortgage-backed securities to investors on the open market. Many major investment firms did much the same thing, buying individual subprime mortgages from original lenders (such as small banks), pooling the projected revenue—payments made by the original individual home buyers—and selling securities backed by the pooled revenue. But when their rates went too high and home buyers couldn’t make these payments, these securities plummeted in value. Institutions that had invested in them—including investment banks—suffered significant losses.Shawn Tully, “Wall Street’s Money Machine Breaks Down,” Fortune, CNNMoney.com, November 12, 2007, http://money.cnn.com/magazines/fortune/fortune_archive/2007/11/26/101232838/index.htm (accessed September 25, 2008). In September 2008, one of these investment banks, Lehman Brothers, filed for bankruptcy protection; another, Merrill Lynch, agreed to sell itself for $50 billion. Next came American International Group (AIG), a giant insurance company that insured financial institutions against the risks they took in loaning and investing money. As its policyholders buckled under the weight of defaulted loans and failed investments, AIG, too, was on the brink of bankruptcy, and when private efforts to bail it out failed, the U.S. government stepped in with a loan of $85 billion.See Greg Robb et al., “AIG Gets Fed Rescue in Form of $85 Billion Loan,” MarketWatch, September 16, 2008, http://www.marketwatch.com/News/Story/aig-gets-fed-rescue-form/story.aspx?guid=%7BE84A4797%2D3EA6%2D40B1%2D9DB5%2DF07B5A7F5BC2%7D (accessed September 25, 2008). The U.S. government also agreed to buy up risky mortgage-backed securities from teetering financial institutions at an estimated cost of “hundreds of billions.”Mortgage Bankers Association, “Delinquencies and Foreclosures Increase in Latest MBA National Delinquency Survey,” Press Release, September 5, 2008, http://www.mbaa.org/NewsandMedia/PressCenter/64769.htm (accessed September 25, 2008). If you were one of the millions of Americans who took out subprime mortgages in the years between 2001 and 2005, you probably have some pressing financial problems. If you defaulted on your subprime ARM, you may have suffered foreclosure on your newly acquired asset, lost any equity that you’d built up in it, and taken a hit in your credit rating. (We’ll assume that you’re not one of the people whose eagerness to get on the subprime bandwagon caused fraudulent mortgage applications to go up by 300 percent between 2002 and 2006. )Financial Crimes Enforcement Network, Mortgage Loan Fraud: An Industry Assessment Based upon Suspicious Activity Report Analysis, November 2006, http://www.fincen.gov/news_room/rp/reports/pdf/MortgageLoanFraud.pdf (accessed September 26, 2008). On the other hand, you’ve probably learned a few lessons about financial planning and strategy. Let’s conclude with a survey of three lessons that you should have learned from your hypothetical adventure in the world of subprime mortgages. Lesson 1: All mortgages are not created equal. Despite (or perhaps because of) the understandable enticement of home ownership, your judgment may have been faulty in this episode of your financial life cycle. Generally speaking, you’re better off with a fixed-rate mortgageA mortgage on which the interest rate remains the same regardless of changes in market interest rates.—one on which the interest rate remains the same regardless of changes in market interest rates—than with an ARM.See Arthur J. Keown, Personal Finance: Turning Money into Wealth, 4th ed. (Upper Saddle River, NJ: Pearson Education, 2007, 253–54. As we’ve explained at length in this chapter, planning is one of the cornerstones of personal-finances management, and ARMs don’t lend themselves to planning. How well can you plan for your future mortgage payments if you can’t be sure what they’re going to be? In addition, though interest rates may go up or down, planning for them to go down and to take your mortgage payments with them doesn’t make much sense. You can wait around to get lucky, and you can even try to get lucky (say, by buying a lottery ticket), but you certainly can’t plan to get lucky. Unfortunately, the only thing you can really plan for is higher rates and higher payments. An ARM isn’t a good idea if you don’t know whether you can meet payments higher than your initial payment. In fact, if you have reason to believe that you can’t meet the maximum payment entailed by an ARM, you probably shouldn’t take it on. Lesson 2: It’s risky out there. You now know—if you hadn’t suspected it already—that planning your personal finances would be a lot easier if you could do it in a predictable economic environment. But you can’t, of course, and virtually constant instability in financial markets is simply one economic fact of life that you’ll have to deal with as you make your way through the stages of your financial life cycle. In other words, any foray into financial markets is risky. Basically, risk is the possibility that cash flows will be variable.See esp. Arthur J. Keown et al., Foundations of Finance: The Logic and Practice of Financial Management, 6th ed. (Upper Saddle River, NJ: Pearson Education, 2008), 174. Unfortunately, volatility in the overall economy is directly related to just one category of risks. There’s a second category—risks related to the activities of various organizations involved in your financial transactions. You’ve already been introduced to the effects of these forms of financial risk, some of which have affected you directly, some of which have affected you indirectly, and some of which may affect you in the future:This section is based on Bernard J. Winger and Ralph R. Frasca, Personal Finance: An Integrated Planning Approach, 6th ed. (Upper Saddle River, NJ: Prentice Hall, 2003), 250–51. Management risk is the risk that poor management of an organization with which you’re dealing may adversely affect the outcome of your personal-finances planning. If you couldn’t pay the higher rate on your ARM, managers at your lender probably failed to look deeply enough into your employment status and income. Business risk is the risk associated with a product that you’ve chosen to buy. The fate of your mortgagor, who issued the original product—your subprime ARM—and that of everyone down the line who purchased it in some form (perhaps Freddy Mac and Merrill Lynch) bear witness to the pitfalls of business risk. Financial risk refers to the risk that comes from ill-considered indebtedness. Freddie Mac, Fannie Mae, and several investment banks have felt the repercussions of investing too much money in financial instruments that were backed with shaky assets (namely, subprime mortgages). In your own small way, of course, you, too, underestimated the pitfalls of all three of these forms of risk. Lesson 3: Not all income is equally disposable. Figure 14.14 "Debt-Income Ratio" shows the increase in the ratio of debt to disposable income among American households between 1985 and 2007. As you can see, the increase was dramatic—from 80 percent in the early 1990s to about 130 percent in 2007.“Getting Worried Downtown,” Economist.com, November 15, 2007, http://www.economist.com/world/unitedstates/displaystory.cfm?story_id=10134077 (accessed September 27, 2008). This rise was made possible by greater access to credit—people borrow money in order to spend it, whether on consumption or on investments, and the more they can borrow, the more they can spend. In the United States, greater access to credit in the late 1990s and early 2000s was made possible by rising housing prices: the more valuable your biggest asset, the more lenders are willing to lend you, even if what you’re buying with your loan—your house—is your biggest asset. As the borrower, your strategy is twofold: (1) Pay your mortgage out of your wage income, and (2) reap the financial benefits of an asset that appreciates in value. On top of everything else, you can count the increased value of your asset as savings: when you sell the house at retirement, the difference between your mortgage and the current value of your house is yours to support you in your golden years. As we know, however, housing prices had started to fall by the end of 2006. From a peak in mid-2006, they had fallen 8 percent by November 2007, and by April 2008 they were down from the 2006 peak by more than 19 percent—the worst rate of decline since the Great Depression. And most experts expect it to get worse before it gets better, with prices declining by 30 percent from the mid-2006 peak by the end of 2010.Nadeem Walayat, “U.S. House Prices Forecast 2008-2010,” Market Oracle, June 29, 2008, http://www.marketoracle.co.uk/Article5257.html (accessed September 27, 2008). So where do you stand? As you know, your house is worth no more than what you can get for it on the open market; thus the asset that you were counting on to help provide for your retirement has depreciated substantially in little more than a decade. If you’re one of the many Americans who tried to substitute equity in property for traditional forms of income savings, one financial specialist explains the unfortunate results pretty bluntly: your house “is a place to live, not a brokerage account.”Sherman L. Doll, of Capital Performance Advisors, quoted by Amy Hoak, “Why a House Is Not a Piggy Bank to Tap Into for Your Retirement,” Wall Street Journal, July 19, 2006, http://homes.wsj.com/buysell/markettrends/20060719-hoak.html (accessed September 27, 2008). If it’s any consolation, you’re not alone: a recent study by the Security Industries Association reports that, for many Americans, nearly half their net worth is based on the value of their home. Analysts fear that many of these people—a significant proportion of the baby-boom generation—won’t be able to retire with the same standard of living that they’ve been enjoying during their wage-earning years.Amy Hoak, “Why a House Is Not a Piggy Bank to Tap Into for Your Retirement,” Wall Street Journal, July 19, 2006, http://homes.wsj.com/buysell/markettrends/20060719-hoak.html (accessed September 27, 2008). The savings rate measures the percentage of disposable income devoted to savings. The U.S. savings rate suffered a steep decline at the beginning of 2005 and late in the year actually slipped into the negative realm, at –0.5 percent of disposable income. In other words, Americans not only spent all of their disposable income but also dipped into their savings. In addition to Americans’ tendency to spend rather than save, the Federal Reserve observed that a lot of people had come to rely on the appreciation of such assets as stocks and residential property as a substitute for the practice of saving out of wage income. Subprime loans are made to would-be home buyers who don’t qualify for market-set interest rates because of one or more risk factors—income level, employment status, credit history, ability to make only a very low down payment. Interest rates may run from 8 percent to 10 percent and higher. An adjustable-rate mortgage (ARM) is a home loan pegged to the increase or decrease of certain interest rates that the lender has to pay. If those rates go up, the mortgage rate and the home buyer’s monthly payments go up, too. A fixed-rate mortgage is a home loan on which the interest rate remains the same regardless of changes in market interest rates. In the years between 2001 and 2005, lenders made billions of dollars in subprime ARM loans to American home buyers. In 2006 and 2007, however, housing prices started to go down. Homeowners with subprime ARM loans weren’t able to refinance, their mortgage rates began going up, and foreclosures became commonplace. In 2006 and 2007, largely because of mortgage-loan defaults, banks and other institutions that made mortgage loans began losing huge sums of money. These losses carried over to Fannie Mae and Freddie Mac, publicly traded government-sponsored organizations that make loans and provide loan guarantees to banks and other mortgage lenders. Next to be hit were major investment firms that had been buying subprime mortgages from banks and other original lenders, pooling the projected revenue—payments made by the original individual home buyers—and selling securities backed by the pooled revenue. When their rates went too high and home buyers couldn’t make their house payments, these securities plummeted in value, and the investment banks and other institutions that had invested in them suffered significant losses. Management risk is the risk that poor management of an organization with which you’re dealing may adversely affect the outcome of your personal-finances planning. Business risk is the risk associated with a product that you’ve chosen to buy. Financial risk refers to the risk that comes from ill-considered indebtedness.